When South Hills Cooperative Animal Control (SHCAC) picks up a lost dog or cat, they will post its picture and any information it has about the animal on this webpage. 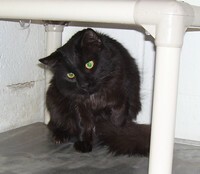 Information will remain online until the pet is returned home or turned over to Animal Friends for adoption. Call (412) 279-6911 and report that it is lost. Check this site for photos and descriptions of animals being housed at the SHCAC kennel. A wandering pet, call (412) 279-6911. The following animals have been found by Animal Control and are currently being housed at Clair’s Kennel, Animal Control’s kennel, located in Upper St. Clair. If one of these are your pets, or you know the owner, call County Dispatch at 412-279-6911 and ask for Animal Control. Dispatch will relay your message and Animal Control personnel will get back to you shortly. Our third and final guest this evening is a stray cat from Upper St Clair, found wandering in the 2600 block of Sunny Field Drive, all black domestic long hair, no ID chip or collar found. Please contact Upper St Clair Police Department at 412 833 7503 if you have any information on her. This female Pit Bull was found in the area of Upper St Clair and Bridgeville Black and White, no ID chip or collar found, appears to be on the under-nourished side and again she appears to may have had pups in the not to distant past. Anyone recognizing her or having information of her owner is asked to call the Upper St Clair Police Department at 412 833 7503 and ask for animal control. Our first guest comes to us from Upper St Clair Township, she was found wandering on Mayview Road on Thursday and recovered by two passing residents. She is a sweet girl, appears to had pups in the not too distant past, reddish brown, with a tail trimmed to about one inch, has been cared for but no collar or ID chip found. 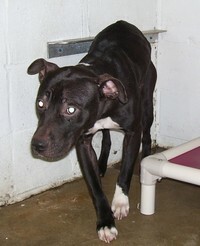 Not sure of breed and do not believe it to be all Pit Bull possibly a Vizula. 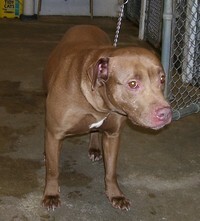 Anyone recognizing her or having information of her owner animal control would like to hear from you. Contact animal control through the Upper St Clair Police Department at 412 833 7503.